If you’ve driven to Sweet Sue’s in Phoenicia sometime this year, craving a stack of pancakes that are lauded throughout the Catskills, only to find the door locked and the lights out, you are not alone. Since the restaurant closed at the end of January, the laments of its devotees have piled up, with fans begging proprietor Sue Taylor to bring back her fruit-studded flapjacks, poppyseed-swirl french toast and other favorites. She has finally told them what they wanted to hear: Sweet Sue’s will reopen in the spring. Taylor, who lives in nearby Shokan, said she closed because she was having difficulty maintaining a kitchen staff that could churn out the high-quality food she was determined to provide. “I just felt like I was in danger of ruining my reputation,” Taylor said. Additionally, she was experiencing some health issues that made the restaurant business even more challenging than usual, she said. While her health was improving, Taylor was approached by a group of fellow business people who invited her to helm a restaurant as part of a new project in Woodstock, she said. After considering the offer, she realized she really didn’t want to leave Phoenicia, and that was the catalyst for her decision to reopen the restaurant she launched in 1984 and built into a popular local and tourist spot that often drew hours-long waits on summer weekends. Taylor is planning some renovations over the winter, including new flooring and paint and new seating arrangements. “My idea is to make it look like a completely different place, but with the same great menu,” Taylor said. The popular breakfast items that made her famous throughout the Catskills will absolutely remain, she said. This will not be the first time Sweet Sue’s has recovered from closure. 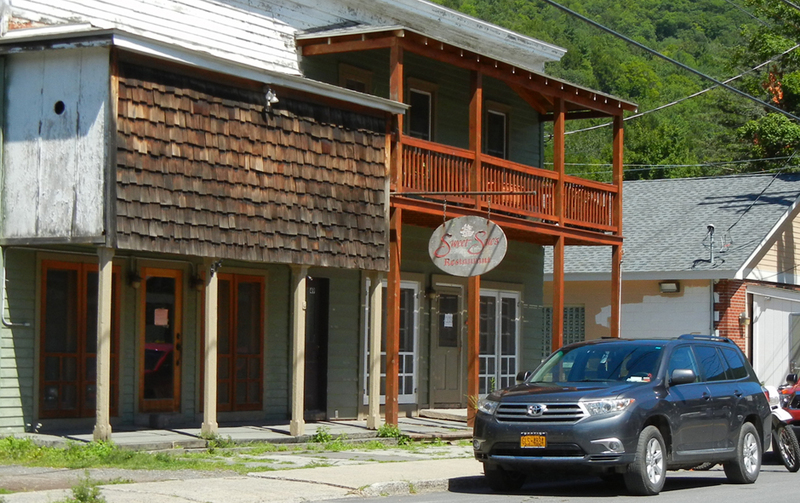 In 2011, after flooding caused the restaurant’s septic system to falter, it shuttered for several months until the Catskill Watershed Corporation provided funding for repairs. Taylor owns the building at 49 Main St., which sits on a quarter-acre near the corner of Main Street and Route 214. Sweet Sue’s reopening will be a bright spot for Phoenicia’s business district, which saw the closure of Mama’s Boy Market last week. After five years, landlord Declan Feehan declined to renew the coffee shop and cafe’s lease at the former site of the Phoenicia Hotel, which burned down in 2007 just as Feehan was acquiring it. In an interview with the Woodstock Times this week, Feehan said he has fielded several inquiries for the property, and that it may become home to another cafe.